1. Davis K. Friendship 2.0: adolescents' experiences of belonging and self-disclosure online. J Adolesc. 2012;35:1527-36. doi: 10.1016/j.adolescence.2012.02.013. 2. Bottino SM, Bottino CM, Regina CG, Correia AV, Ribeiro WS. Cyberbullying and adolescent mental health: systematic review. Cad Saude Publica. 2015;31:463-75. 3. Sourander A, Brunstein Klomek A, Ikonen M, Lindroos J, Luntamo T, Koskelainen M, et al. Psychosocial risk factors associated with cyberbullying among adolescents: a population-based study. Arch Gen Psychiatry. 2010;67:720-8. doi: 10.1001/archgenpsychiatry.2010.79. 4. Kubiszewski V, Fontaine R, Huré K, Rusch E. Cyber-bullying in adolescents: associated psychosocial problems and comparison with school bullying. Encephale. 2013;39:77-84. doi: 10.1016/j.encep.2012.01.008. 5. Dehue F, Bolman C, Völlink T. Cyberbullying: youngsters' experiences and parental perception. Cyberpsychol Behav. 2008;11:217-23. doi: 10.1089/cpb.2007.0008. 6. Barboza GE. The association between school exclusion, delinquency and subtypes of cyber- and F2F-victimizations: identifying and predicting risk profiles and subtypes using latent class analysis. Child Abuse Negl. 2015;39:109-22. doi: 10.1016/j.chiabu.2014.08.007. 7. Alonso C, Romero E. Aggressors and Victims in Bullying and Cyberbullying: A Study of Personality Profiles using the Five-Factor Model. Span J Psychol. 2017;20:E76. doi: 10.1017/sjp.2017.73. 8. Machackova H, Pfetsch J. Bystanders' responses to offline bullying and cyberbullying: The role of empathy and normative beliefs about aggression. Scand J Psychol. 2016;57:169-76. doi: 10.1111/sjop.12277. 9. Claybourn M, Spinner B, Malcom K. Workplace harassment: a test of definitional criteria derived from an analysis of research definitions and Canadian social definitions. Int J Law Psychiatry. 2014;37:589-600. doi: 10.1016/j.ijlp.2014.02.033. 10. Due P, Holstein BE, Lynch J, Diderichsen F, Gabhain SN, Scheidt P, et al. Bullying and symptoms among school-aged children: international comparative cross sectional study in 28 countries. Eur J Public Health. 2005;15:128-32. 11. Hatzenbuehler ML, Flores JE, Cavanaugh JE, Onwuachi-Willig A, Ramirez MR. Anti-bullying Policies and Disparities in Bullying: A State-Level Analysis. Am J Prev Med. 2017;53:184-191. doi: 10.1016/j.amepre.2017.02.004. 12. Shetgiri R. Bullying and victimization among children. Adv Pediatr. 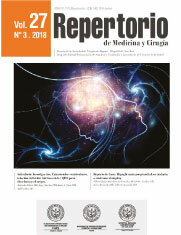 2013;60:33-51. doi: 10.1016/j.yapd.2013.04.004. 13. Mazur J, Tabak I, Zawadzka D. Determinants of Bullying at School Depending on the Type of Community: Ecological Analysis of Secondary Schools in Poland. School Ment Health. 2017;9:132-142. doi: 10.1007/s12310-017-9206-7. 14. Ortega R, Elipe P, Mora-Merchán JA, Genta ML, Brighi A, Guarini A, et al. The emotional impact of bullying and cyberbullying on victims: a European cross-national study. Aggress Behav. 2012;38:342-56. doi: 10.1002/ab.21440. 15. Burke MA, Carman KG. You can be too thin (but not too tall): Social desirability bias in self-reports of weight and height. Econ Hum Biol. 2017;27:198-222. doi: 10.1016/j.ehb.2017.06.002. 16. Ybarra ML. Linkages between depressive symptomatology and Internet harassment among young regular Internet users. Cyberpsychol Behav. 2004;7:247-57. 17. Sampasa-Kanyinga H, Roumeliotis P, Farrow CV, Shi YF. Breakfast skipping is associated with cyberbullying and school bullying victimization. A school-based cross-sectional study. Appetite. 2014;79:76-82. doi: 10.1016/j.appet.2014.04.007. 18. Escartín J. Insights into workplace bullying: psychosocial drivers and effective interventions. Psychol Res Behav Manag. 2016;9:157-69. doi: 10.2147/PRBM.S91211. eCollection 2016. 19. Comparcini D, Simonetti V, Lupo R, Galli F, Bocij P, Cicolini G. Cyberstalking among Italian nurses: a large multicentric study. Prof Inferm. 2016;69:150-158. doi: 10.7429/pi.2016.693150. 20. Recupero PR. New Technologies, New Problems, New Laws. J Am Acad Psychiatry Law. 2016;44:322-7. 21. Kowalski RM, Limber SP. Electronic bullying among middle school students. J Adolesc Health. 2007;41:S22-30. 22. Juvonen J, Gross EF. Extending the school grounds?--Bullying experiences in cyberspace. J Sch Health. 2008;78:496-505. doi: 10.1111/j.1746-1561.2008.00335.x. 23. Cutbush S, Williams J. Teen Dating Violence, Sexual Harassment, and Bullying Among Middle School Youth: Examining Measurement Invariance by Gender. J Res Adolesc. 2016;26:918-926. doi: 10.1111/jora.12244. 24. Wang J, Iannotti RJ, Nansel TR. School bullying among adolescents in the United States: physical, verbal, relational, and cyber. J Adolesc Health. 2009;45:368-75. doi: 10.1016/j.jadohealth.2009.03.021. 25. Hong JS, Kral MJ, Sterzing PR. Pathways From Bullying Perpetration, Victimization, and Bully Victimization to Suicidality Among School-Aged Youth: A Review of the Potential Mediators and a Call for Further Investigation. Trauma Violence Abuse. 2015;16:379-90. doi: 10.1177/1524838014537904. 26. Ybarra ML, Mitchell KJ. How risky are social networking sites? A comparison of places online where youth sexual solicitation and harassment occurs. Pediatrics. 2008;121:e350-7. doi: 10.1542/peds.2007-0693. 27. Guerra NG, Williams KR, Sadek S. Understanding bullying and victimization during childhood and adolescence: a mixed methods study. Child Dev. 2011;82:295-310. doi: 10.1111/j.1467-8624.2010.01556.x. 28. Valkenburg PM, Peter J. Online communication among adolescents: an integrated model of its attraction, opportunities, and risks. J Adolesc Health. 2011;48:121-7. doi: 10.1016/j.jadohealth.2010.08.020. 29. Olumide AO, Adams P, Amodu OK. Prevalence and correlates of the perpetration of cyberbullying among in-school adolescents in Oyo State, Nigeria. Int J Adolesc Med Health. 2016;28:183-91. doi: 10.1515/ijamh-2015-0009. 30. Bettencourt A, Farrell A, Liu W, Sullivan T. Stability and change in patterns of peer victimization and aggression during adolescence. J Clin Child Adolesc Psychol. 2013;42:429-41. doi: 10.1080/15374416.2012.738455. 31. Mucherah W, Finch H, White T, Thomas K. The relationship of school climate, teacher defending and friends on students' perceptions of bullying in high school. J Adolesc. 2017;62:128-139. doi: 10.1016/j.adolescence.2017.11.012. 32. David-Ferdon C, Hertz MF. Electronic media, violence, and adolescents: an emerging public health problem. J Adolesc Health. 2007;41:S1-5. 33. Dreßing H, Bailer J, Anders A, Wagner H, Gallas C. Cyberstalking in a large sample of social network users: prevalence, characteristics, and impact upon victims. Cyberpsychol Behav Soc Netw. 2014;17:61-7. doi: 10.1089/cyber.2012.0231. 34. Bouris A, Everett BG, Heath RD, Elsaesser CE, Neilands TB. Effects of Victimization and Violence on Suicidal Ideation and Behaviors Among Sexual Minority and Heterosexual Adolescents. LGBT Health. 2016;3:153-61. doi: 10.1089/lgbt.2015.0037. 35. Chang FC, Lee CM, Chiu CH, Hsi WY, Huang TF, Pan YC. Relationships among cyberbullying, school bullying, and mental health in Taiwanese adolescents. J Sch Health. 2013;83:454-62. doi: 10.1111/josh.12050. 36. Bauman S, Toomey RB, Walker JL. Associations among bullying, cyberbullying, and suicide in high school students. J Adolesc. 2013;36:341-50. doi: 10.1016/j.adolescence.2012.12.001. 37. Salerno JM, Peter-Hagene LC. The interactive effect of anger and disgust on moral outrage and judgments. Psychol Sci. 2013;24:2069-78. doi: 10.1177/0956797613486988. 38. Ford JD, Elhai JD, Connor DF, Frueh BC. Poly-victimization and risk of posttraumatic, depressive, and substance use disorders and involvement in delinquency in a national sample of adolescents. J Adolesc Health. 2010;46:545-52. doi: 10.1016/j.jadohealth.2009.11.212. 39. Puhl R, Luedicke J, King KM. Combating weight-based bullying in schools: is there public support for the use of litigation? J Sch Health. 2015;85:372-81. doi: 10.1111/josh.12264. 40. Bostic JQ, Brunt CC. Cornered: an approach to school bullying and cyberbullying, and forensic implications. Child Adolesc Psychiatr Clin N Am. 2011;20:447-65. doi: 10.1016/j.chc.2011.03.004. 41. Miller E. Prevention of and Interventions for Dating and Sexual Violence in Adolescence. Pediatr Clin North Am. 2017;64:423-434. doi: 10.1016/j.pcl.2016.11.010.